AA Library staff are always pleased to help users find material and have written several library guides for this purpose that are available on the online catalogue. The latest guide, Finding maps, was compiled because of the increasing requests for maps from AA students. The guide gives information about printed maps and atlases, digital maps and data, historical maps and other map collections in London. Library staff also produced an eight-page bibliography titled Maps & Mapping online, where books held in the Library are indicated with the shelfmark. 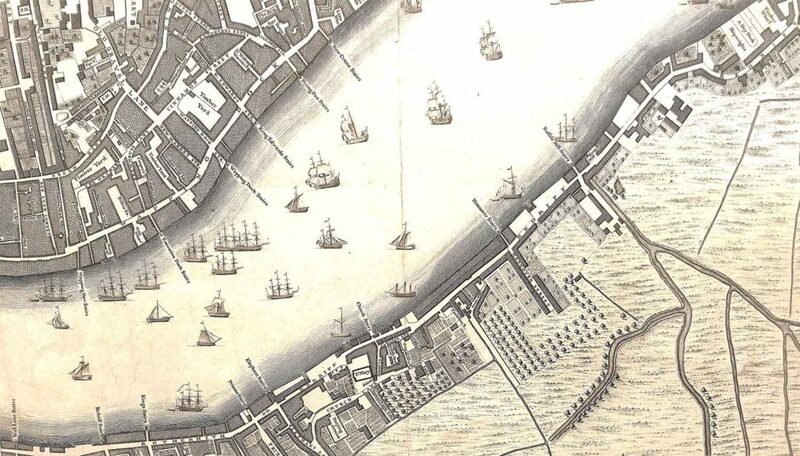 In the guide are some rare maps that the Library holds, including the famous John Rocque Plan of the cities of London and Westminster, 1746, and G.B. Nolli’s Nuova pianta di Roma, 1748. A Plan of the Cities of London and Westminster: and borough of Southwark with the contiguous buildings, with the contiguous buildings, from an actual survey, taken by John Rocque, land-surveyor, and engraved by John Pine, Bluemantle, consists of 24 large sheets and took nearly ten years to survey, engrave and publish. The volume was funded by 246 subscribers, including Frederick, Prince of Wales, who was later to appoint Rocque as the Royal Cartographer. The map shows internal details for some buildings, such as St Paul’s Cathedral. 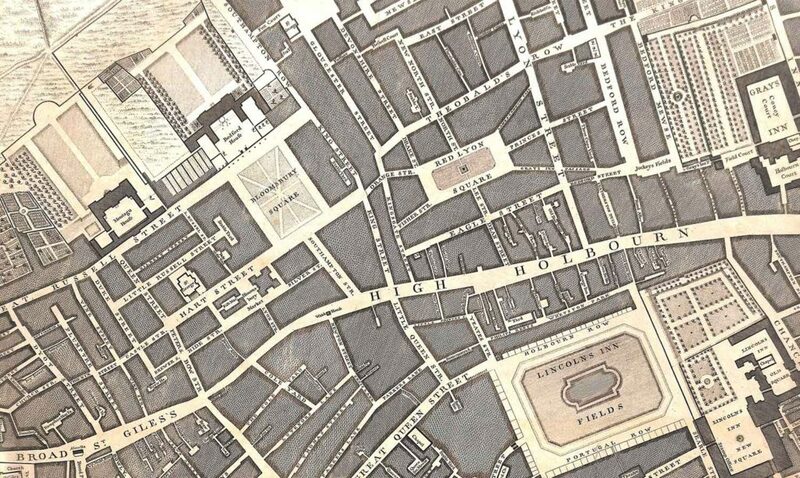 However, the detail on the map is variable over the various parts of London – in the inner city there was not room for minor roadways to be included. Churches, grand buildings and streets receive close attention but industrial buildings are often omitted. Giambattista Nolli’s Nuova pianta di Roma, 1748, consists of 12 folded plates, and shows details not only of streets and squares but also of the interiors of public buildings and churches. The project, sponsored by banker Girolamo Belloni, had the support of learned antiquaries belonging to the circles of Cardinal Alessandro Albani and the Corsini family. 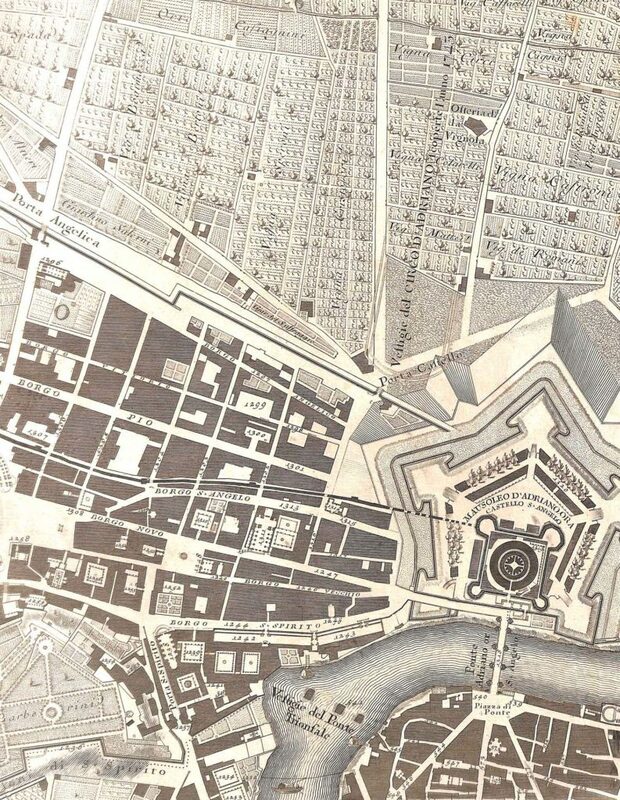 Although the map was first mentioned in about 1736, the engravers did not start working until 1741 and it was not published until April 1748, with a dedication to Pope Benedict XIV. The allegorical figures and Roman ruins and monuments below were added by Stefano Pozzi (1699-1768). Both maps were presented to the AA Library in 1921 by Robert Atkinson, AA principal and then Director of Education from 1913 to 1929. As well as the maps, he presented several other books to the AA Library over the years. Both volumes were presented in memory of the Old Third Year who fell in the Great War 1914-1918 (Atkinson was exempted from war service). 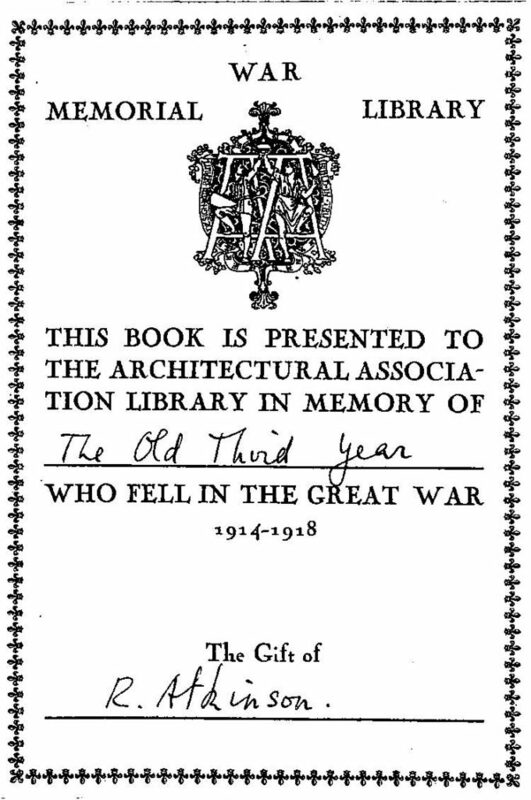 The bookplates inside the front cover records their provenance; the designer of the bookplate is unknown. At some point since they arrived in the Library, the volumes were rebound and the plates attached to linen, presumably for preservation reasons. Other significant AA people including Hope Bagenal and E.J. Carter continued the tradition of presenting rare maps of London to the AA Library, which formed the London Map collection. 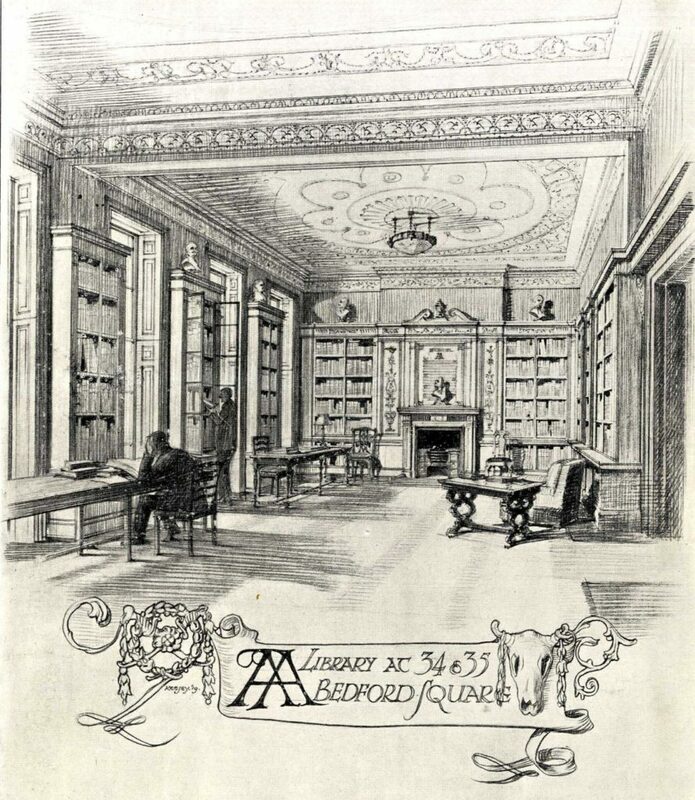 Atkinson was responsible for making alterations to 34 and 35 Bedford Square when the AA moved there in 1917, including the creation of the Library on the first floor. Renamed the AA Memorial Library in 1921, Atkinson incorporated Adamesque bookcases and an overmantel with a scrolled pediment that framed a war memorial over the existing fireplace, which is still in situ.